Damn, that was fast! I feel like No Mercy was just the other day, and yet the Top Guys of the wrestling podcast world are back again to talk Hell in a Cell. Of course, we got some Monday Night RAW and Smackdown Live to get into as usual, but the Smackdown Live-exclusive PPV is definitely the highlight of this week’s episode. 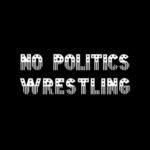 With that being said, relax, get comfortable, or do whatever the hell you want actually, just as long as you ready to tune into another edition of the must-listen wrestling podcast! In this episode, we briefly discuss the 10/2-10/3 editions of Monday Night RAW and Smackdown Live and recap the build to Hell in a Cell as we make our PPV predictions. And has The Shield’s reunion been organic or has it felt forced? All that & much more — AND THAT’S A FA’SHO RIGHT ON! Previous ArticleEminem is done recording his next studio album. Will it be his '4:44'?